"Speedy", "stylish", "creative", these are the buzzwords LG is using in an MWC 2013 teaser that hints at a "breakthrough" announcement in Barcelona two weeks from now. We are, of course, expecting the announcement of LG's flagship for the first half of the year, the Optimus G Pro, with 5.5" screen, 3140 mAh battery and microSD slot, but also a refresh of the L-series, and an eventual new F-series to make a cameo. All in all, MWC will seemingly be devoted to LG and Nokia, as Sony already unleashed the Z, and Samsung is going to have a separate event for its Galaxy S IV fighter. 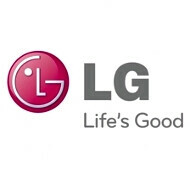 i want LG to succeed but they always disappoint by rushing the product to market. hope they can finally release an awesome phone. more interested in nokia though because they seem to be the only ones actually innovating.